Friendship Tech Prep Academy: A Tier One School! 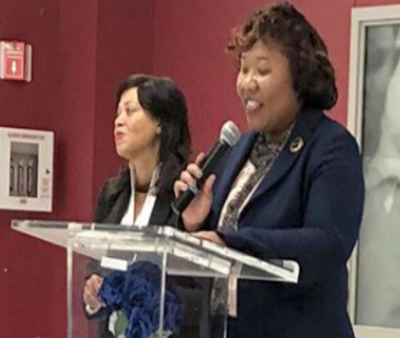 NOV. 26, 2018: On October 31, 2018, Friendship Technology Preparatory Academy was recognized as a Tier One school. Last year, the now eleventh graders helped build on the foundation of this accomplishment. They scored amazingly on PARCC. And in the past year, twelfth graders aced the SAT, with many students in dual enrollment taking college courses through Arizona State University and University of District of Columbia. This is a huge accomplishment for the students, parents, and staff of Tech Prep. The Tech Prep staff and students have been working hard to accomplish this goal. Now all of our hard work has paid off. Grades 10 - 12 along with staff from Tech Prep and the Friendship Community Office had our first Tier 1 Celebration to recognize all of the hard work that Tech Prep’s staff and students put in to make Tier 1. Since we have finally accomplished this goal students and staff will continue to strive and maintain this title to represent our school with pride. We are truly proud of our school. Through all of this, we know we are truly “Built by Grit… Driven by Innovation”. Congratulations Friendship Technology Preparatory Academy! Tech Tech Tech… Prep Prep Prep! R’Nasia Murphy and Sean Beach are 10th grade scholars at Friendship Technology Preparatory Academy.